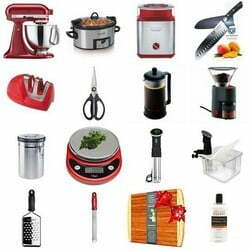 This week find amazing deals and save mucho money on many items you have been desiring. Check out these Black Friday Cyber Monday Sales that are available for a very limited time only. 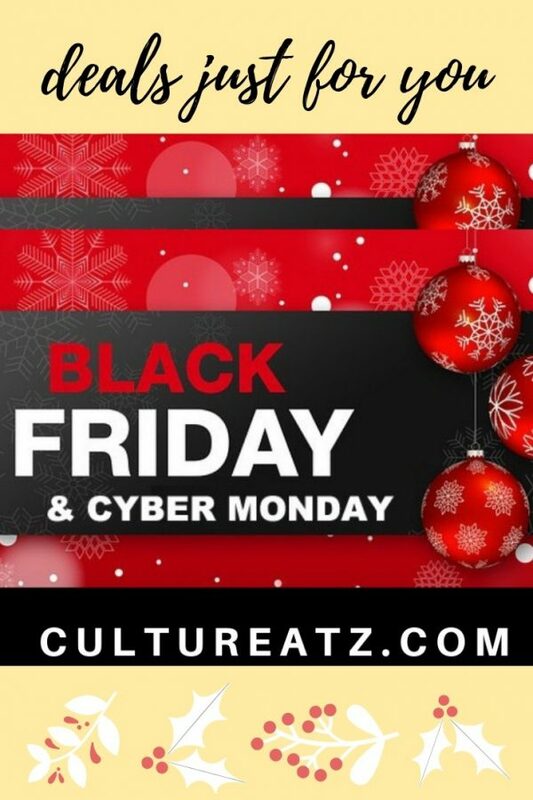 Welcome to Cultureatz‘s very first ever Black Friday Cyber Monday Sales article. Black Friday is not just for Amazon anymore. Many online products are often heavily discounted at this time of year too. Now is the time to act before the sales are gone. This really is the cheapest time of year to get deals online. Some deals are available now already but some offer discounted deals all year round. Make sure to check back here regularly over the next few days as some sales cannot be revealed until they have started. This article will get lot longer every day! I have divided my great deals into the three main topics I write about: food and cooking, traveling and any service that can help you be a better blogger. These are either products I personally use and recommend, or a few I may purchase myself as I have had an eye on them. KeySearch – The number one way to get more visitors to your site is to have lots of excellent long tail keywords in your text. The best keyword research tool is hands down KeySearch. Already a subscriber to KeySearch? You can use this deal to upgrade from Starter to Pro or monthly to annual too. Get 40% off with code BLACKFRIDAY valid until November 26, 2018 Click here to sign up. OptinMonster is the top tool for getting new email subscribers. 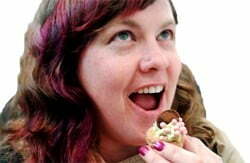 You can easily set up email opt-in options on your sites and target various offers to different pages. Get 35% OFF your entire cart with code BF2018 valid until November 26, 2018 Click here to sign up. Blurb – new customers get 50% Off Photo Books with code BLACKFRIDAYFIFTY valid until November 27, 2018 Click here to get your photo books. Logo Maker – New Business Logos Are Waiting. Design Yours Today! Creative Market – It’s time for the 2018 Creative Market Holiday Sale! From November 26th through December 3rd, 2018 get 20% discount on purchases with the promo code holidaysale20. Click here to save on graphics! Valid until November 27, 2018 Click here to shop. Valid until November 26, 2018 Click here to shop. Valid until November 30, 2018 Click here to shop. Save Universal Orlando Tickets – USA / Canada Residents Click here to shop. Save 17%! Las Vegas Super Saver: Madame Tussauds with Gondola Ride and Meal Upgrades Click here to shop. Save 6%! New York City Explorer Pass Click here to shop. Wiivv makes the most amazing custom 3D printed insoles and sandals, perfect for travelers who walk all day! They are offering our biggest discount ever: Buy one, get one 70% off valid until November 26, 2018 Click here to shop. Travelsmith has care-free, modern clothing that looks and feels great all day or when traveling. Get 30% Off + FREE Shipping on Your $85+ Order at Travelsmith! Use Code TS79490 valid until November 27, 2018 Click here to shop. 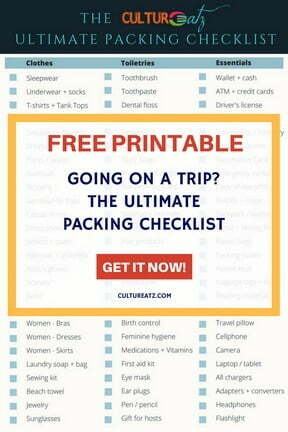 My Freebie – Never know what to pack when getting ready for a trip. I got you covered with my Ulitmate Packing Checklist. Click here to get your FREE Ulitmate Packing Checklist right now! Snack Nation is an awesome snack-subscription service that delivers a monthly curation of delicious, clean ingredient snacks directly to your home. Get 20% OFF all plans + FREE Box for plans of 6 or 12 months valid until November 27, 2018 Click here to shop. The California Wine Club offers monthly subscriptions for wine lovers where you get extraordinary wine from small California wineries. Get 25% off a 4-month Premier Series gift valid until November 30, 2018 Click here to shop. Rocky Mountain Oils offers 100% pure essential oils and essential oil products, I just love them. Get 30% OFF the entire store and check the site for the EXTRA DAILY DEAL of the day, valid until November 26, 2018 at 11:59 PM MT Click here to shop. Restaurant.com – helping America’s diners save at more than 62,000 restaurants and merchants across the US. 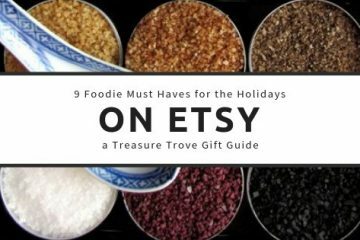 Etsy – Click here to get up to 10-60% off I also prepared a 9 Foodie Must-Haves for the Holidays Gift Guide that you can find here and many sellers have discounted their prices. 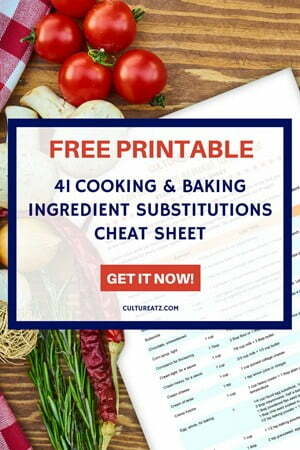 My Freebie – a Cheat Sheet that includes 41 Cooking and Baking Ingredient Substitutions that are commonly found in a kitchen. Click here to get your FREE Ingredient Substitutions Cheat Sheet right now! And of course, don’t forget Amazon! Don’t forget to check back daily as some Black Friday Cyber Monday Sales deals cannot be revealed until they have started!